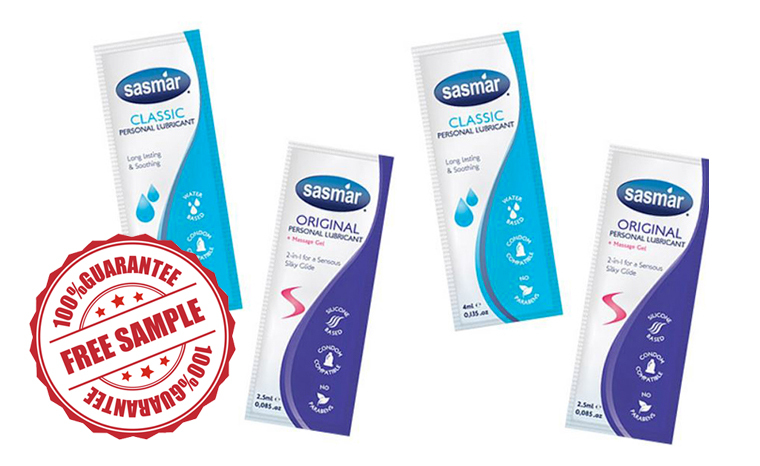 Get a FREE SASMAR Personal Lubricant Sample that contains two different lubricants. The classic personal lubricant offers a long lasting and soothing touch. A water-based solution that offers condom compatibility. While the original personal lubricant and massage gel sample offer a 2 in 1 use that ensures sensuous silky glide. This is a silicone based lubricant that offers condom compatibility. Get Your Free SASMAR Personal Lubricant Sample Today!